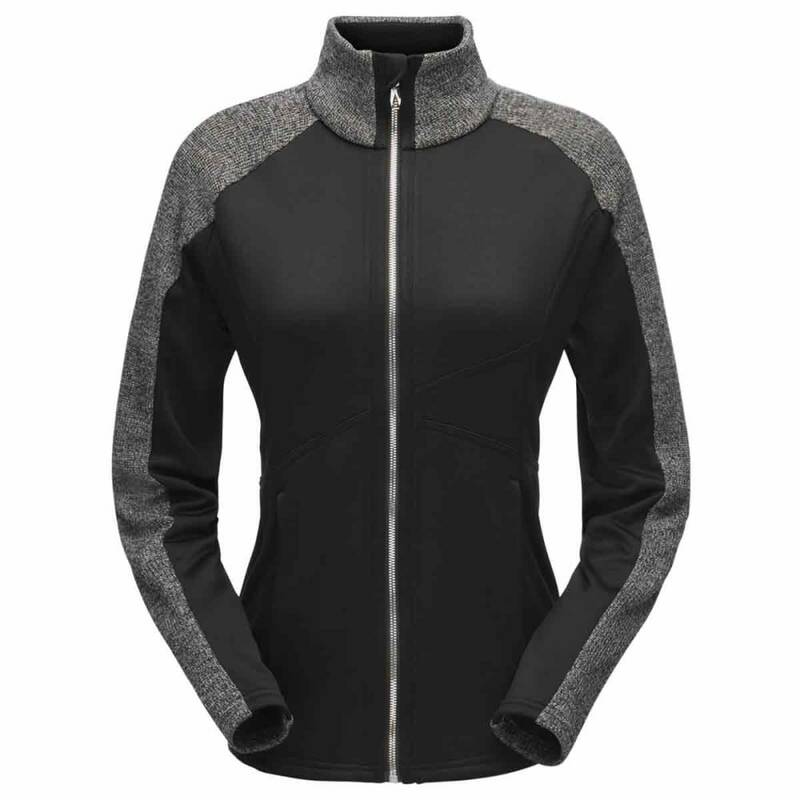 For any layering system, a good foundation is always soft and stretchy. 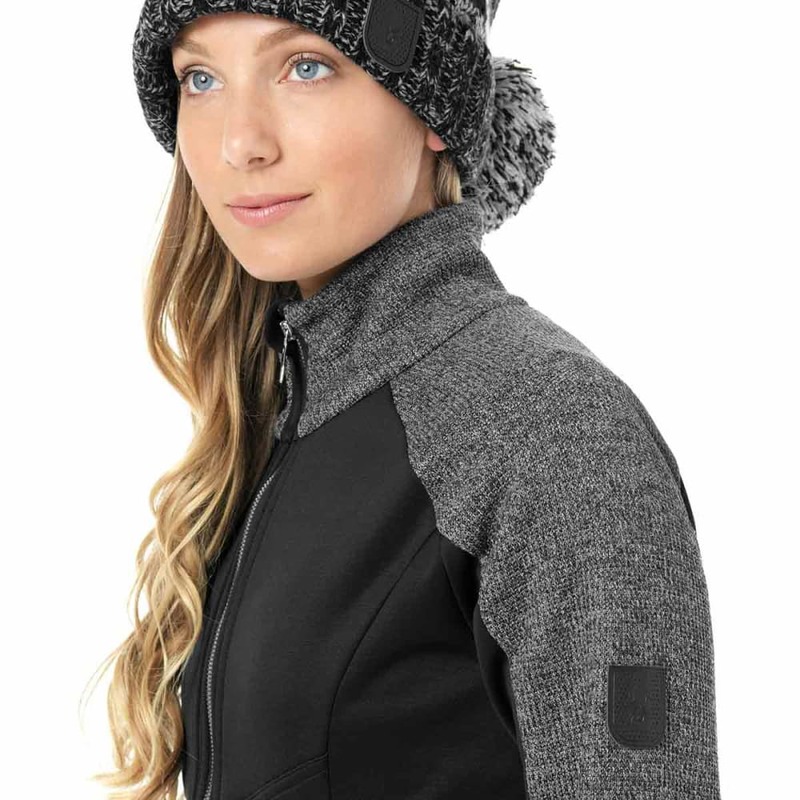 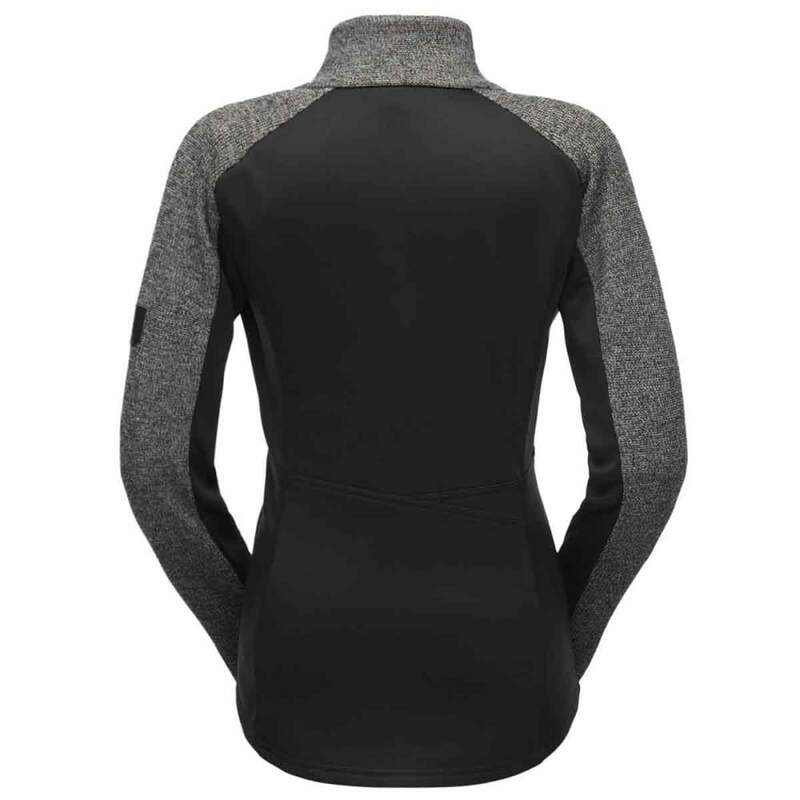 Delivering that for the slopes, this first layer bonds cozy sweater knit to brushed, double-knit polyester fleece and further adds stretch fleece panels to key areas. 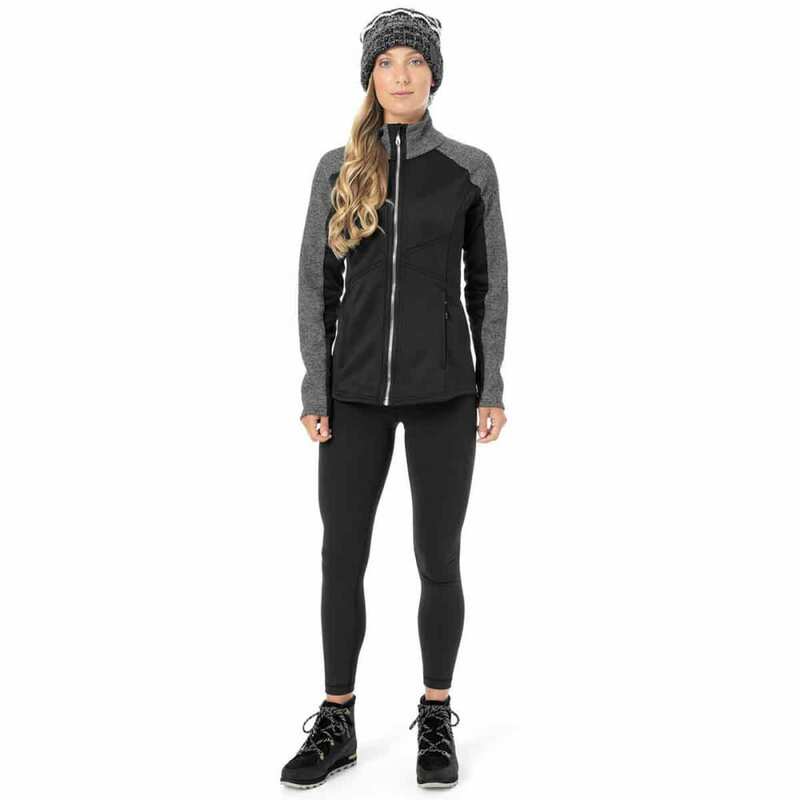 The result feels just right against your skin, efficiently moves along as you’re traversing those trails, and holds onto body heat without ever seeming heavy or bulky.